Used Truck Camper Blowout Sale… Don’t Wait! Truck campers are popular with outdoor adventurers for many reasons. Slide in truck campers free up the hitch on your pickup truck so you are able to tow a boat or cargo trailer as long as your vehicle’s tow rating allows it. Truck campers also provide a large amount of RV space in a compact unit, making these RV types very efficient and easy to transport. 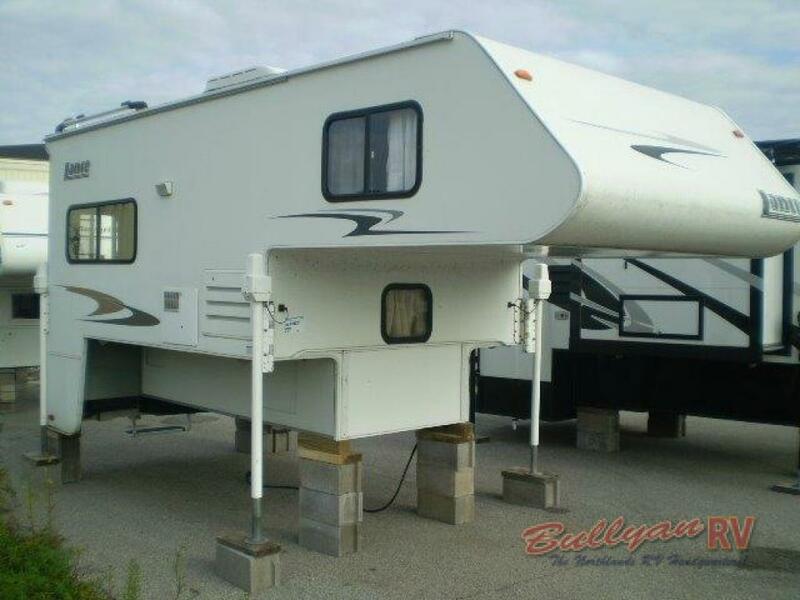 Here at Bullyan RVs, we have a nice selection of Used Truck Campers with slides to choose from. 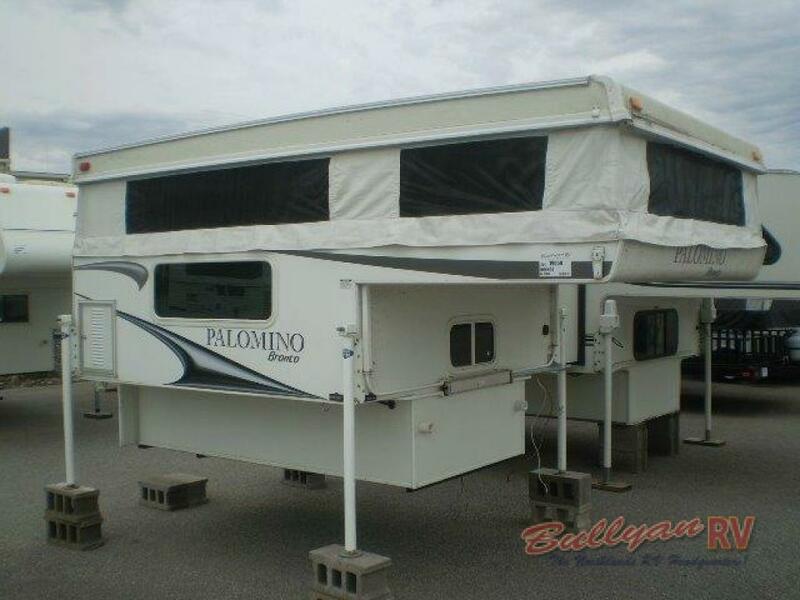 We have top used truck camper brands such as Lance and Palomino, known for their quality and durability. Purchasing a used RV is a great way to get an amazing deal. Plus, with a truck camper, you don’t have to worry about wear on the axle or tires. Whether you are interested in a truck camper with or without a slide-out or even a pop-up truck camper, we have you covered. Choose from a wide range in price, weight, amenities and ages all depending on your specific travel needs. All of our used truck camper options offer a comfortable spot to rest and eat at the end of a fun day of outdoor activities. 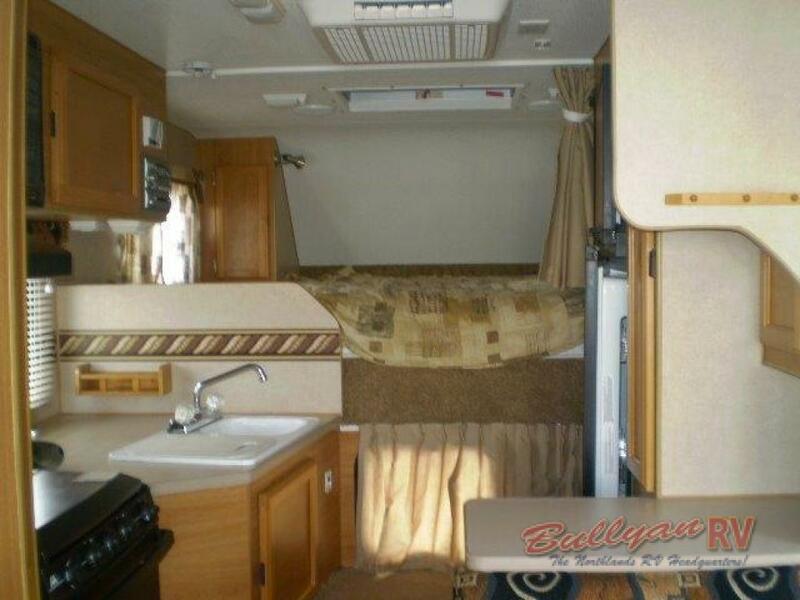 With an impressive amount of interior space, you can cook, sleep and use the bathroom in comfort. You can even relax in the shade under the camper’s awning just like with a towable RV. Now is the time to plan for that big fishing trip you’ve been dreaming of. Used inventory doesn’t last long, so don’t wait. Truck Campers, especially, are hard to come by. When you see a camper that suits you, jump on it! We’ll make you a good deal. 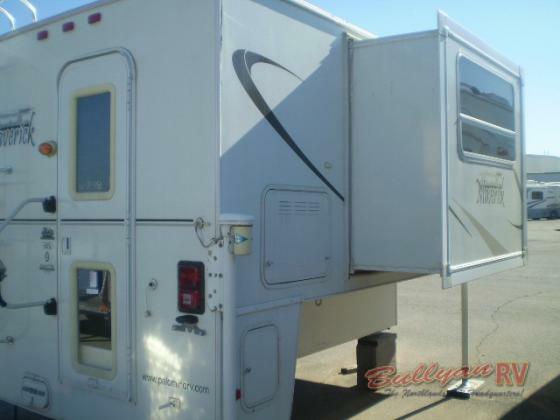 Contact Us at Bullyan RV for Used Truck Campers or any of our other Used RV Inventory. Stop by Our Location for a personal tour by on of our RV Specialists. Spring is around the corner, be ready for it!